AVG Anti-Virus Free Edition is a Award-winning antivirus and antispyware that protects your computer from viruses and spyware. 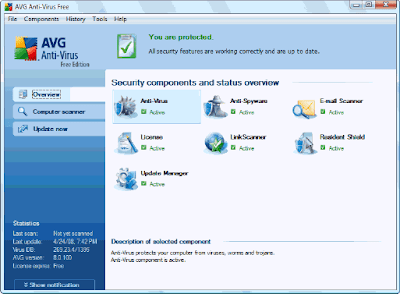 AVG Anti-Virus is a quality proven antivirus by 80 million of users. 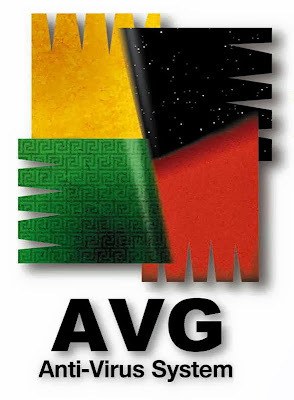 AVG Anti-Virus Free Edition ensures real-time safe internet surfing and searching and it is compatible with Windows 7, Windows Vista and Windows XP. In this Latest version of AVG Anti-Virus, LinkScanner Active Surf-Shield have been included that checks web pages for threats at the time when you are about to click any specific link.